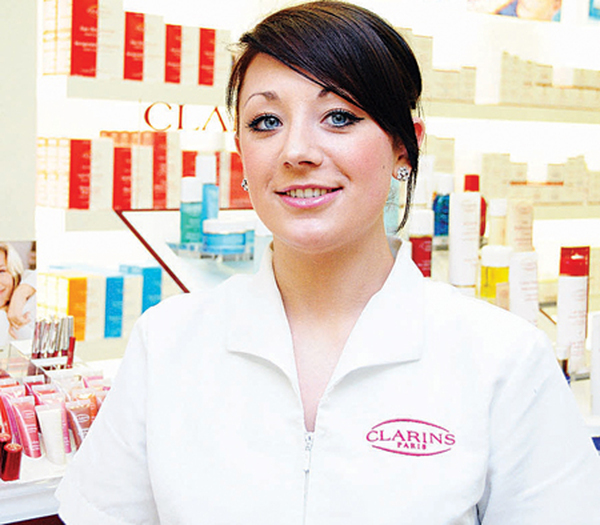 Elaine Mulcair, Clarins salon therapist, University Late Night Pharmacy. The economic downturn has increased stress levels in everyone but more so in women. A recent survey by the American Psychological Association showed that 83 per cent of women reported stress related to the economic climate, compared to just 75 per cent of men. With less money around shopping can be a more stressful experience. One Galway outlet has a novel way of dealing with this — helping you to beat the stress by treating you not only to free products to ease the financial burden but also to a choice of free beauty treatments which include luxurious mini-facials, Indian head massages, and relaxing nail treatments. As part of the Clarins promotion at University Late Night Pharmacy shoppers can also choose a selection of Clarins travel size favourites and a choice of Clarins bag when they spend €60 at the Clarins department in-store. "Customers really love these relaxing treatments which we provide in our newly designed beauty rooms," said Clarins salon therapist Elaine Mulcair. "And with less money around these days people really appreciate that it's for free." Mulcair promised more of the same, with similar events planned for other departments such as Lancôme within the newly refurbished store.